Think back to September 1972. "The Godfather" was the top movie in theaters. Gilbert O'Sullivan's "Alone Again (Naturally)" topped the charts. M*A*S*H kicked off its 11-year run on TV. And President Richard Nixon, just months after five people were arrested for breaking into Democratic campaign offices in Washington, D.C.'s Watergate office complex, sought re-election against Sen. George McGovern. And on Sept. 11, the Bay Area Rapid Transit system opened for business. Now fast-forward more than 43 years, and many of those original BART cars are still in use. Many of them have logged over 1 million miles. To put it simply, BART's rolling stock is old. Hella old. According to the American Public Transportation Association, BART is home to the oldest big-city commuter rail fleet in the nation. The typical useful life span of these cars is about 25 years. 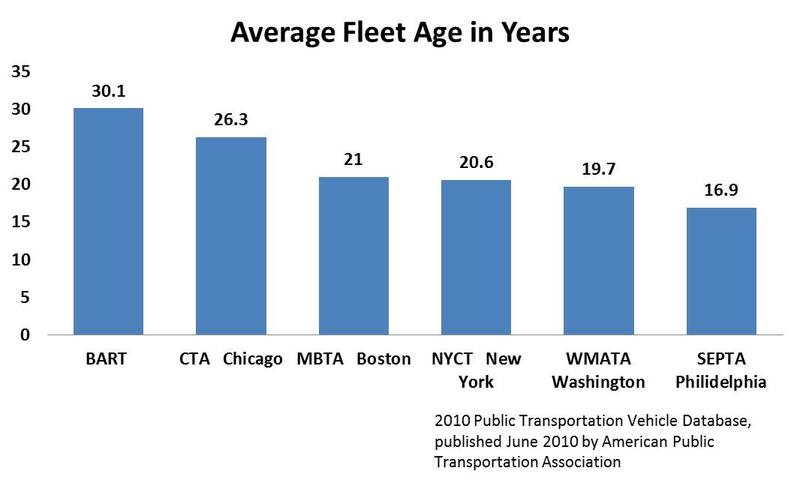 The average age of BART’s fleet (as of 2010, when the study was done) is 30 years. The system introduced some new cars in 1988 and 1994, but the majority of BART cars still in use today have been in operation since service opened in 1972. According to BART's website, 439 of its 669 train cars have been in use since service began. A large rehabilitation project in the late '90s extended the life of these cars, but ongoing repairs and maintenance are required to keep BART running. These repairs and regular servicing are done at four train yards around the Bay Area. The busiest is the Richmond maintenance yard, just north of Richmond station. Trains from the Richmond fleet arrive in the yard, where they are cleaned and prepared for service -- which often includes refurbishing old parts and repairing antiquated systems. Eric Reinig is a transportation foreworker at the Richmond yard, where he is responsible for assembling BART trains for service every morning. He is often forced to send out shorter trains than scheduled because he doesn’t have enough working cars available. As cars get older they break down more frequently, and must spend more time out of service undergoing repairs. This, in turn, decreases the number of cars available, which increases the congestion on in-service cars. 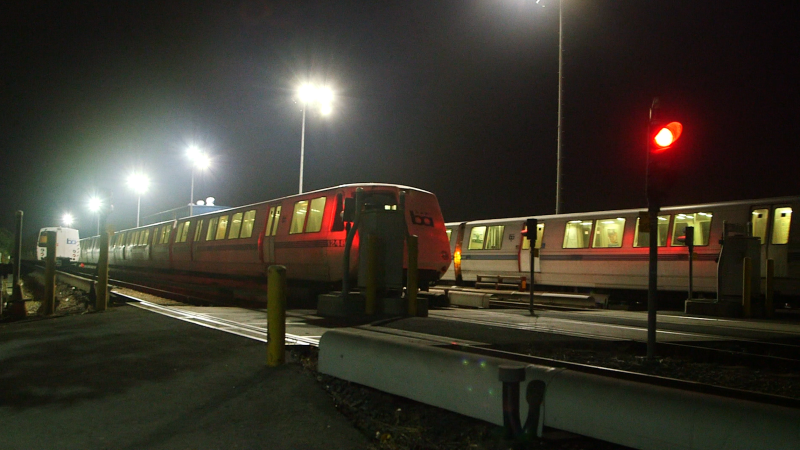 The shop, or the maintenance facility, is the part of the yard where BART cars are serviced. 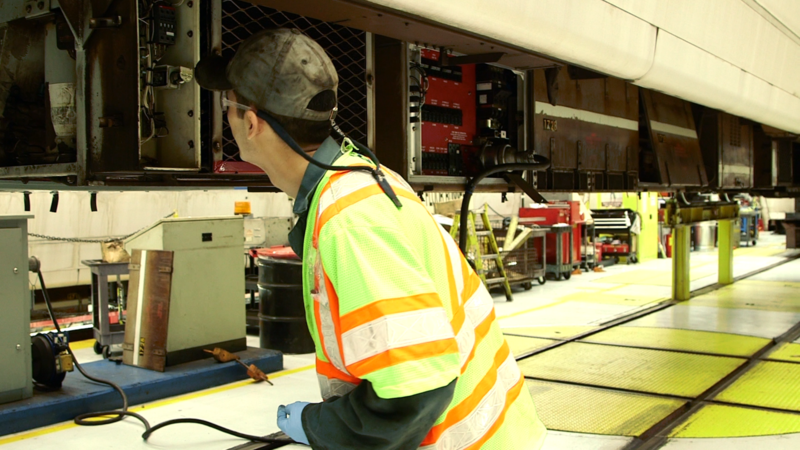 A corps of BART technicians perform regular preventive maintenance and repairs. If a BART car is scheduled for maintenance, technicians will inspect it for wear or damage. Any component that seems likely to cause a problem will be fixed before it fails. If a car has been sent to the shop for a specific repair, a technician will be assigned to diagnose the problem. 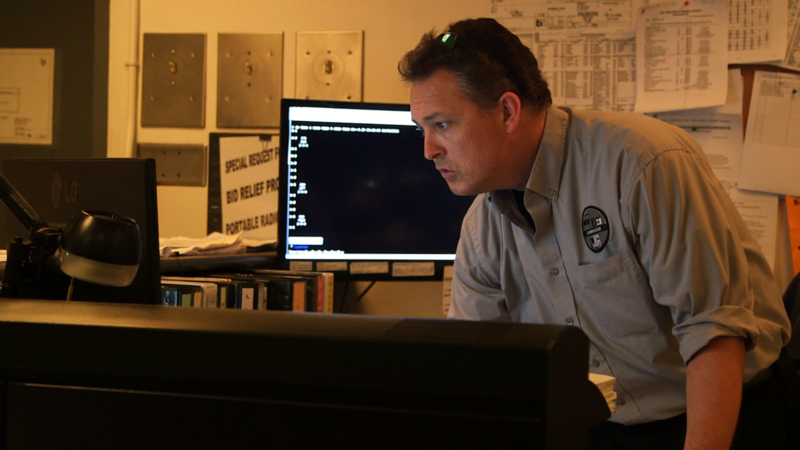 On one October night, Charles Chew was working in the Richmond maintenance Facility as a transit vehicle electronics technician. He was assigned to work on the malfunctioning HVAC (heating, ventilation and air-conditioning system) on car 1728. Even on hot summer days, the HVAC was blowing heat into the car. Chew found that a component in the HVAC logic, the computer running the heating and air conditioning, was behaving erratically. To fix the problem, an electrical switch needed to be replaced. Though the part was small, replacing it was a complex job requiring four to six hours to complete. “These cars are so old, it’s based on technology that was cutting-edge 20 years ago, but has kind of been phased out everywhere else,” Chew said. For reference, Atari released its seminal arcade game Pong just two months after BART service opened -- that's the kind of technological antique Hardt and Chew are dealing with. Hardt oversees the maintenance of the BART fleet, and he says that one of the most challenging aspects of his job is finding the antiquated parts for the fleet — many of which are no longer manufactured. When these old parts are no longer available from suppliers, Hardt often looks to eBay. But most of the time BART technicians are forced to buy newer parts and adapt them to be compatible with the old systems. But the old BART cars cannot simply be retired. Once the line extensions to Warm Springs and Livermore are completed, the system will require a bigger fleet, so the old cars will continue to be used for the foreseeable future, creating a new challenge for BART technicians. Once the new cars enter service, technicians will need to know how to work with both the old and the new systems. Train yards, like the one in Richmond, will have to work with parts and tools for both old and new cars. Over the next decade, the BART fleet will certainly be larger and more modern. But much of the system’s infrastructure, like the rails and traffic control systems, remains outdated. According to Hardt, these outdated systems impose serious limits on efficiency. BART is currently researching how to resolve these issues.